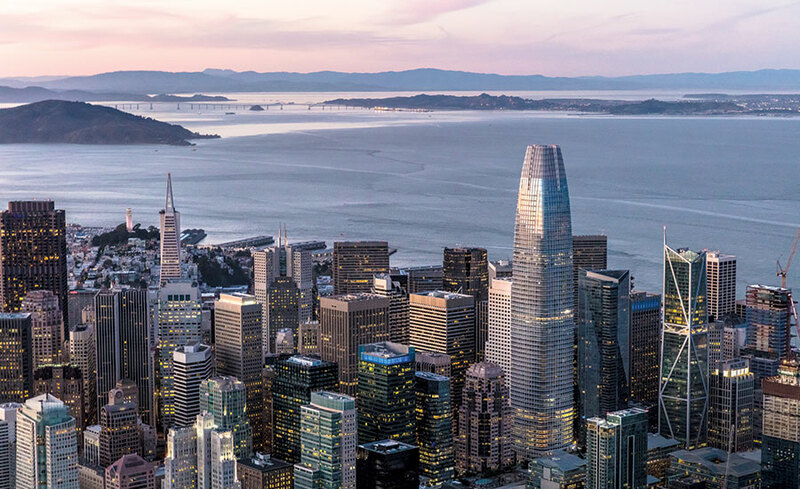 The Salesforce Tower, a massive glass and steel skyscraper visible everywhere in San Fransico, was completed in May 2018, becoming the second-tallest building west of the Mississippi River and the tallest in the Bay Area. For a city that has been a shipping and manufacturing hub for much of its existence, the building epitomizes the tech boom that has transformed the city, redefining everything from its skyline to its place in the culture. Skyscrapers change the story. “They are the pyramids of our civilization, permanent monuments of our existence,” explained Streitfeld. They tell us who is in charge and how they see themselves. 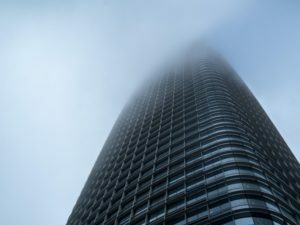 The Salesforce Tower is breaking a San Francisco height record (10,70 feet) that stood for nearly half a century. For Bay Area residents, the consequences of this sudden rise in wealth and power have been distressing. While the industry’s presence and investment dollars have engendered a new wave of prosperity, an alarming housing crisis and rise in socioeconomic inequality have taken hold. Long-term lessees in the city’s Victorian, terraced hills, for example, have been evicted because of the influx of techies, and, for the majority of working- and middle-class families, the idea of homeownership is becoming a pipe dream. The website for Salesforce Tower makes a point of noting other tech companies nearby—Yelp, Amazon, eBay, Intuit. At the same time, non-tech companies are slimming down and looking elsewhere. Charles Schwab, the financial services firm founded in San Francisco in 1971, recently built a 5,000-employee campus in Texas, and others seem to be following suit. Within Salesforce Tower’s shadow, a slightly smaller, 802-foot building is also just coming to completion. It will house thousands of Facebook employees, in addition to a number of condos. The penthouse, according to the Times, is available for $42 million, “offering a well-heeled mogul the chance to make a splashy statement.” Meanwhile, the median household income in the city is approximately $80,000. Marc Benioff, an SF native and billionaire co-founder of Salesforce, has attempted to control the company’s messaging. At the ribbon-cutting ceremony, Benioff addressed the city’s challenges and the tech industry’s role in solving them. “Kids are walking down the sidewalk, families in shelters, families sleeping in cars—they’re all looking up at this building. I want to say to them, when you look up and see this tower, I want you to know that you’re not alone,” Benioff said, referring to his Heading Home campaign, which hopes to raise $200 million to get every homeless individual off San Francisco’s streets. At this point, however, the industry’s leaders are struggling to reach a consensus on what should be done. Benioff and Twittter CEO Jack Dorsey have spared publicly over Prop C, a bill aimed at fighting homelessness by raising taxes on big businesses, and San Francisco Mayor Landon Breed warned that companies and jobs would leave the city if the new tax went into effect. (Voters approved the tax in November 2018, but the measure was held up in a court challenge). In the end, clashes over the vision of San Francisco’s future are nothing new. 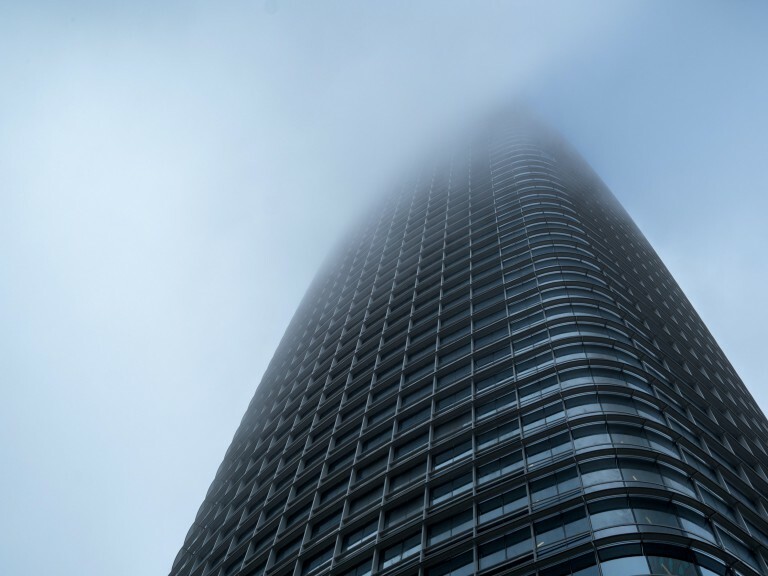 In a city that has been home to Spanish colonists, lawless fortune seekers, beats, hippies, and now techies, Salesforce Tower might just be the latest exemplar of its growth and prosperity.